01 Arrival. By good, if crowded, motorway links and a very central railway station. Leeds to be Channel 4’s new national headquarters. 200 staff will relocate here to Channel 4’s new base from its London headquarters by the end of 2019. 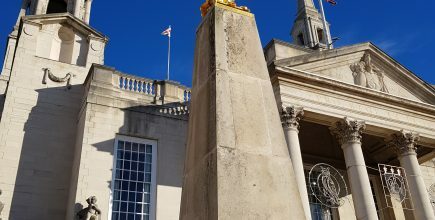 The move will involve setting up a TV studio and a Channel 4 News bureau, which will enable the nightly news programme to be co-anchored from Leeds. Candidates for Channel 4’s new HQ had to have a population of more than 200,000, a travel time to London of less than three hours and high-quality physical and digital infrastructure. Bristol and Glasgow were chosen to house two smaller creative hubs. Although Channel 4 is commercially funded, it is owned by the government, which is unique in the British broadcasting environment. Leeds is establishing itself as a thriving centre for the creative industries, from education to marketing and design, drawn together by the digital revolution. This is in line with revitalised formerly rundown districts, notably London (Shoreditch and Silicon Roundabout). In Leeds it is happening along the canal, and south of the river Aire. North-south rail links good; awaiting an east-west solution. HS2 by the 2030s by no means certain. 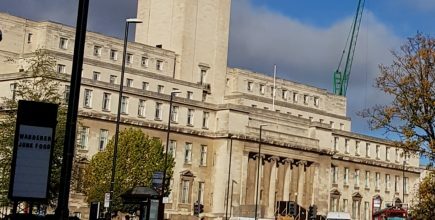 Brand Yorkshire – now Brand Leeds? The 2015 Tour de France established the whole of Yorkshire as a brand people could identify, and want to visit. We saw a single Yorkshire, the largest of all English counties, not those arbitrarily carved-off sections of it – west, south and east. Now it’s up to the towns and cities within Yorkshire to press their case as places to be visited and invested in. The establishment of “Brand Yorkshire” would seem to have been enough to finish off the West Yorkshire Playhouse – if only in name. The theatre began life in 1970 as the Leeds Playhouse – I reviewed many of the then repertory company productions for a local newspaper in the early years. It changed its name, and moved to new premises. I still think many outsiders were none the wiser, after many years of fuzzy geographical identity – after all, where exactly is West Yorkshire? West Yorkshire Playhouse announced in July 2018 that it will now be known as Leeds Playhouse. With the name change the theatre hopes to better reflect its community and promote its home city. The theatre, now situated at the east end of the Headrow, the city’s main east-west thoroughfare, is going back to the name it carried when it opened in 1970 in premises on the edge of the University estate. The name change comes ahead of the theatre’s 50th anniversary and as it prepares for a £15.8 million capital redevelopment project, which will transform the entrance of the auditorium, built in 1990, improve access and add a new studio as a third performance space. Artistic director James Brining said the renaming marked a new chapter in the theatre’s life, as well as reflecting a desire to make its geographical location clearer on a national and international platform. Brining said he wants to put Leeds on the map as a cultural destination. Recent polls have named the birthplace of M&S as one of the UK’s top shopping destinations, the “Knightsbridge of the North”. Much of the shopping is cozily indoors. The city’s 1900s arcades are among the glories of British shopping, featuring such stylish stores as Harvey Nichols. Victoria Gate is a more rarified example of the shopping centre. There’s a Anthropologie there. It leads into a new John Lewis. Cuthbert Broderick’s original Corn Exchange, styled on the Paris version (he also designed Leeds Town Hall), received a makeover in the 2000s. Inside it’s ringed with boutiques under a domed glass roof that lets the light flood in. The heart of the Leeds retail revival is Briggate. Once clogged with traffic, it’s now a pedestrianised Grand Canyon. Kirkgate Market is a lively bustle. Here a certain Mr Marks launched a shopping revolution on a trestle table. “Don’t ask the price, Madam: everything’s is a penny [1/2p]”. The Market’s street food dining zone includes Asian bakery Zm Zm, fish sandwiches in Istanbul style at Mr Mackerel, Bánh & Mee Vietnamese Street Kitchen and a Yorkshire Pudding wrap from the Yorkshire Wrap Company. Trinity Kitchen has a changing line up of street food vendors, alongside some permanent residents, in its location at the top of Trinity Leeds. There’s authentic American at Chicago Rib Shack, as well as Duck n Roll, and Indian street food at Rola Wala. This is the real deal. Before TV, people went to see the whole world flicker forth from screens (“the flicks”) such as this. One by one they were turned into bingo halls and tyre centres. But the Hyde Park, built in 1914 and one of the oldest UK cinemas, held out, its original gas lighting and a decorative Edwardian balcony intact. A pub from the past. Another pub I would recommend is Arcadia in Headingley. It serves a large selection of gins and real beer in premises that feel more like a wine bar than a pub. But note that, if you are coming from the city centre, it may be quicker to walk the then take a bus which will be inevitably caught up in the very slow moving early evening traffic. A city made for walking. Students, being, mainly, young, fit and healthy walk a lot. 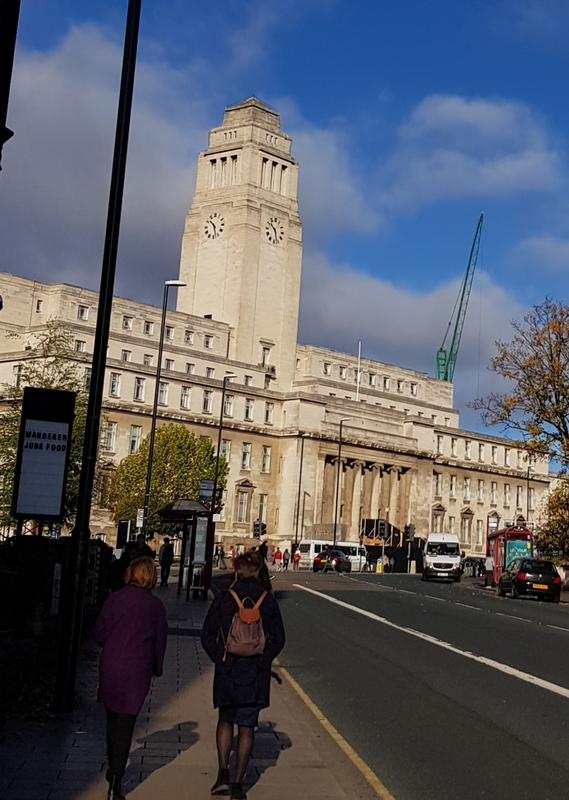 There’s a veritable cascade of students down from the Leeds University campus to the city centre, in the sorts of numbers you would once have seen leaving the city’s factories. There are more wide open spaces where you are free to stroll close to the centre of Leeds, than there is in the cordoned-off countryside of many a shire county. Woodhouse Moor is the closest large area of green, next to the University. The imperious statue of Queen Victoria stands in one corner. There is a wide variety of life performance across Leeds’ many venues – comedians at City Varieties, plays for the family at Carriageworks theatre and touring West End shows at the Grand Theatre. Stars who trod the boards at the Grand include Sarah Bernhardt, Ellen Terry, Julie Andrews, Felicity Kendal, Morecambe and Wise and Laurence Olivier. www.leedsgrandtheatre.com. Top artists appear at the First Direct Arena, and there are original performances at what used to be the West Yorkshire Playhouse and is now the Leeds Playhouse once more. There are symphony orchestra concerts in the grand interior of Leeds Town Hall. On my recent visit they were screening 2001;A Space Odyssey there. This is the setting for much of the Leeds International Piano Competition, which takes place every three years. It was in the city in 2018, drawing pianists from around the world, and returns in 2021. In the city’s smaller venues there is theatre at The HUB, dance performance at Stanley and Audrey Burton Theatre and a range of talent at The Venue. The Leeds City Varieties, said to be the UK’s longest continuously running music hall, has been restored to its former glory, with help from the Heritage Lottery Fund. Hansa’s (72 North Street, a five-minute walk from the city centre) is a family run vegetarian restaurant to seduce the most unswerving carnivore. Ugandan born chef and owner Mrs Hansa Dabhi has been was voted Yorkshire curry chef of the Year, against stiff competition, blends Gujerati home-cooking with touches of East Africa. Check the website It’s worth checking the website for the menu. At at the time of writing, October 2018, the website only gave didn’t give general information, and to book you had to ring and leave a message, with the booking only which was only confirmed when they opened several hours later. The food was up to the previous standard, but I now wish I’d tried some of the Indian wine. Leeds saw the biggest rise of independent restaurant openings in the country in 2017 year, tying with Newcastle for the top spot. There are many choices of places to eat, without having to resort to a chain. The Leeds Indie (Independent) food festival runs over two weeks in May. The city’s website flags up Bundobust, Ox Club, Stockdales of Yorkshire, Tharavadu & The Foundry Wine Bar. Several places are in the Michelin Guide. It suggests breakfast at Fettle or Olive & Rye, coffee and cake at Layne’s Espresso or North Star Coffee, lunch at LIVIN Italy or The Cross Keys, afternoon tea at Just Grand! Vintage Tea Room or Le Chalet and dinner at Vice & Virtue or The Oxford Place (gluten free). Arnold’s is an independent, family run restaurant showcasing Yorkshire and British produce. It was named after Leeds entrepreneur and philanthropist Arnold Ziff. The Ivy Leeds open recently in the Victoria Centre. it is one of many regional spin-offs from the original Ivy Soho Brasserie on Broadwick Street in London. The Tetley is a centre for contemporary art in Leeds’ South Bank, with galleries, a studio, workspaces for creative industries, restaurant, and bar, in a landmark heritage building. The London Evening Standard called it “the heart and soul of Leeds’ art scene”. It supports the production of new work. The profits of the Bar & Kitchen – “a warm Yorkshire welcome and a classic menu with a modern twist” – all go to support the artistic programme. Project Space Leeds (PSL), a contemporary arts and education charity founded in 2006, operates and curates the centre. PSL was set up to create a platform for emerging artists across the UK, allowing them to make and show work “within a supportive environment”. The art deco Tetley headquarters was built in 1931, and is all that remains of the extensive brewing premises that occupied this site. The other brewery buildings were cleared after the company was taken over by Carlsberg. There is more contemporary art at the Leeds Gallery at Munro House. Leeds International Film Festival (1-16 November 2018) is one of the largest film events in the UK, presenting an incredible selection of the best new and classic films from around the world. 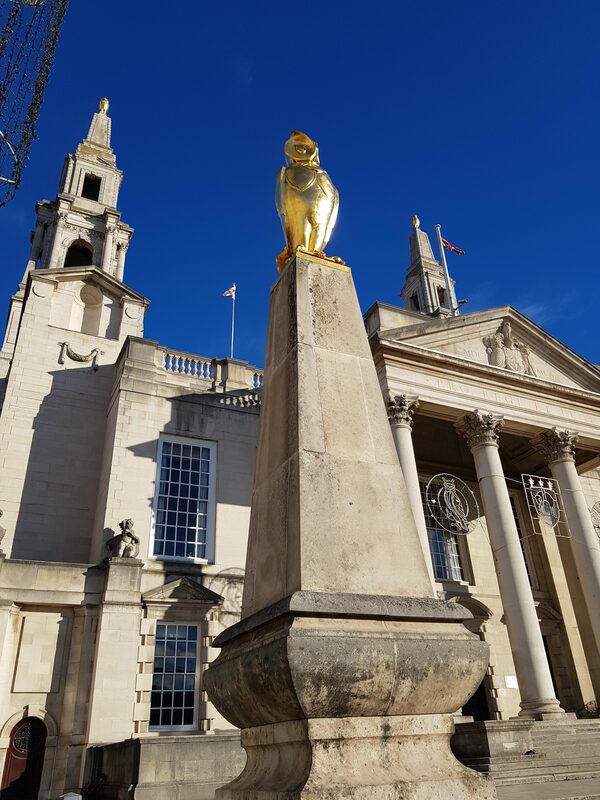 Each year, audiences are invited to step in from the cold autumn weather and enjoy the power of cinema at some of the city’s favourite venues, including Leeds Town Hall, The Hyde Park Picture House and Everyman Leeds. Leeds offers many good bus services connections, to destinations within the city and as far away as Whitby on the North Yorkshire coast. This suffers from the regular urban congestion you find in any big city, with Woodhouse Lane, the road to Headingley and the North severely congested most evenings. Taxi drivers will know quicker ways to get you into Headingley, to such places as the Italian restaurant Salvo’s. Longer term transport issues remain unresolved. The trans-Pennine route, which links Leeds with Hull, and on the west side with Manchester and Liverpool, is still slow and under-resourced in terms of trains. And there appears to be growing opposition to HS2, which is due to be extended from Birmingham (the first section, from London) to Manchester, Sheffield and Leeds by the 2030s. 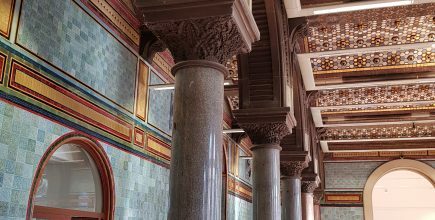 Leeds Art Gallery recently reopened after an extensive makeover. The Henry Moore Institute, a gallery dedicated to sculpture, his next tour. 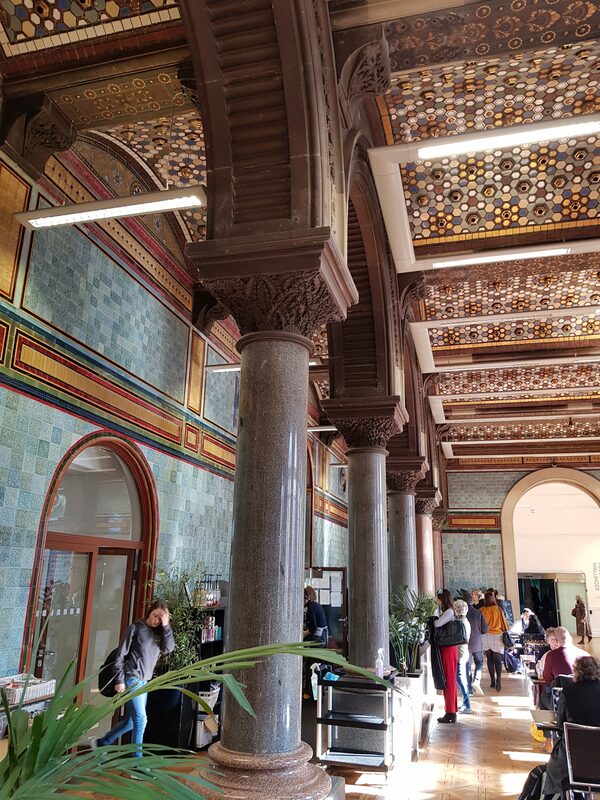 The Tiled Hall Café in Leeds Art Gallery. There’s a free 10 minute boat trip along the River Aire, in the little yellow boats Twee and Drie, from Granary Wharf near the railway station, to Leeds Dock, close to the the Royal Armouries Museum. We stayed at the Ibis Style, just off Merrion Street. Comfortable, unfussy mid price place. Good breakfast. Tea, coffee machine in the foyer. All York has in common with York is a Yorkshire address and a station on the same railway line – not much over half an hour by fast train. My piece here.